Jiffy di torba compressa norvegese da 40mm 100% Originali, ultile per evitare lo shock del travaso, da collocare per 20 minuti in una bacinella d'acqua a pH 5.5 per farlo gonfiare prima di poterlo utilizzare. Nutley's Biodegradeable Half Trays x10. Great for starting and germinating seeds as well as cloning. Green Cross Hydroponics Rootzilla Rooting Gel's proprietary formulation contains a special ingredient engineered to effectively. [Seedfactor® OFFICIAL] SHIPS FAST FROM ATLANTA GA, USA! Great for Seed Starting, Hydroponics, or Wheat Grass. Nursery standard 1020 solid flat with no drainage holes. Stamped drainage channels. 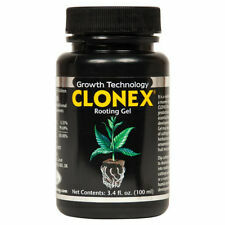 Use Quick Clone Cloning Gel to clone your best yielding and fastest growing plants, and never spend money on inconsistent starts again. Simply take a healthy, new-growth cutting from your favorite plant, dip in water, then to desired depth in Quick Clone Gel, and plant into soil, peat plug, or aeroponic cloning machine. Seed Tray, (Qty. 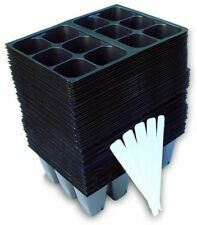 600) 6 Cell Trays, 3600 cells, Seedling Trays, 606 Inserts. All standard inserts are lightweight and flexible to allow easy removal of plug or seedling. Referred to as inserts as they are designed to fit inside standard 1020 flats. 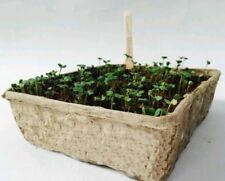 Plastic Seed Trays. Lightweight seed trays with 24 individual cells and drainage holes. 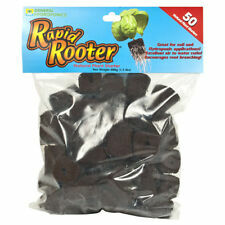 Ideal for young plants. Tea & Coffee. Kitchen Essentials. Kitchen Disposables. Kitchen Miscellaneous. Food Storage. 120 trays will fill 10- 10x20 seed Flats or Web Trays. Includes 120 Trays, 720 cells total. 12 trays will fit into one standard 1020 flat. These special trays can be used to plant small bulbous plants or herbs with minimal supervision. The deep trays have the unique 2-tiered structure with drainage holes. Suitable for decorative displays or small scale gardening inside or outside the house. Clonex is a high performance, water-based, rooting compound developed by Growth Technology™ Ltd. It is a tenacious gel which will remain in contact around the stem, sealing the cut tissue and supplying the hormones needed to promote root cell development and vitamins to protect the delicate new root tissue. 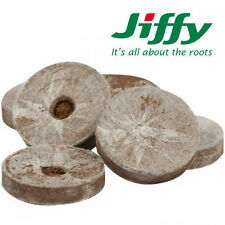 The Jiffy Peat Pellet Refill 72 includes 72 of the finest 36mm peat pellets on the market. You can use them as is or as a refill for the popular Jiffy Professional Greenhouse 72. BEST Cloning Bucket on the market w/ USA WARRANTY! This seedling heat mat will increase the success of seedlings and cuttings and will warm the root area 10-20°F over ambient temperature to improve germination. Provides constant temperature to improve vegetable, plant, herb, and flower seed germination. Nice Grow Growzelt mit Abluft-Set Blauberg Tubo 102cbm/h und Airontek Aktivkohlefilter. - Inline - Rohrventilator der Firma Blauberg - Tubo 100 mit 102cbm/h, sehr leise im Dauerbetrieb. - zwei frei positionierbare Stangen (60cm) zum Installieren der Belüftung. Seed Starting Tray, (Qty. Nursery standard 1020 solid flat with no drainage holes. Stamped drainage channels. Great for Seed Starting, Hydroponics, Wheat Grass, Microgreens. ). We will match the price or even better. Made in USA. 5M Weed Control Plus An Organic Fertilizer Use On Lawns Beds & Vegetable Gardens Safe To Apply Where Children & Pets Play Controls Many Grassy Weeds Such As Crabgrass & Broadleaf Weeds Such As Dandelions & Many More Easy To Spread With Complete Coverage For Superior Weed Control 10-0-0.5M Easy To Spread With Complete Coverage For Superior Weed Control.10-0-0. The HDI Root Riot Tray contains plant starter cubes for cuttings and seeds for soil or hydroponics. Root Riot will give you faster, more vigorous rooting. Perfect air and water capacity for healthy roots. Flip-top vials or 30 4- or 6-oz. 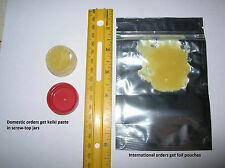 baby food jars.Multiplication hormone concentrate consists of 1.0mg/ml BA (benzylaminopurine) and 0.1mg/ml NAA (napthalene acetic acid). To mix, begin by adding sugar to 900ml of filtered water. EASY TO USE! Simply place the Seedling Heat Mat on a flat, dry surface under a seedling tray or Herb Garden Box and plug the cord into a 120 V outlet. Temperatures in the soil of indoor plants can be as much as 5-8°F lower than indoor air temperatures. Nice Grow Abluft-Set Growzelt Vents Quietline 100cbm/h und Airontek Aktivkohlefilter. - Inline - Rohrventilator der Marke Vents - Quietline 100 mit 100cbm/h. - Luftschlauch: Aluconnect Ø 102mm. - Luftschlauch: Aluconnect Ø 102mm - 1m. Secret Jardin Dark Room Intense Growbox INT600 - 600x360x242cm. Das Zelt besteht - wie bei allen Dark Rooms - aus einseitig reflektierendem, absolut Licht-, Luft und Wasserundurchlässigem Material mit Infrarot Protection. MFG# : HGMC400. Mini Plant Clipper. Surgical stainless steel holds a sharper edge longer. Ultra light. Overall length: 5 in. Use for precise detail. 7" Vented Dome Fits Directly Onto The Standard 10" x20" Cut Kit Trays To Create A Humid & Warm Environment Ideal For Cuttings & Seed Germination Gives Extra Height For Your Taller Cuttings Adjustable Top & Side Vents Allow For Perfect Humidity & Temperature Control.These domes fit directly onto the standard 10 x 20" cut kit trays to create a humid and warm environment ideal for cuttings and seed germination. Tall 7" dome gives extra height for your taller cuttings. Adjustable vents allow for perfect humidity and temperature control. These domes fit directly onto the standard 10 x 20" trays Tall 7" dome gives extra height for your taller cuttings This is the only dome on the market with adjustable top and side vents Adjustable vents allow. 7ml Technaflora Rootech Gel. It can also be diluted with water for use on cuttings that will form roots more easily. BAY HYDRO TEAM. This is VERY important you understand this. Bay Hydro LLC and the advertisers each reserve the right to limit the provision of their products or services to any person, geographic area, or jurisdiction they so desire and to limit the quantities of any products or services that they provide. Having trouble getting your banana plant to make any progress?. You might just need our Banana Formula Fertilizer: your banana plants need fertile conditions and this is the ideal ratio specially formulated in a water soluble mix. 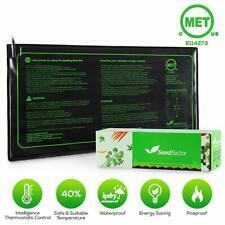 Seedling heat mat is perfect for vegetable, herb, and flower seedlings. THIS HEAT MAT WILL RAISE THE TEMP 10-20 DEGREES. 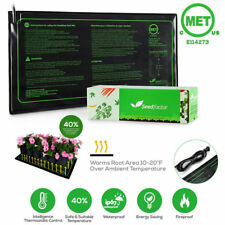 Heat mat creates ideal conditions to increase growth success of seedlings and cuttings. Clonex Rooting Gel is a high performance, water-based, rooting gel developed by Growth Technology™ Ltd. - You will receive 1 x Clonex rooting gel 250ml/8.5floz. Compatible with all AeroGarden indoor garden systems. Patented, specially formulated liquid nutrients plant food. The Essential Kombucha HEATING STRIP 24" x 4"